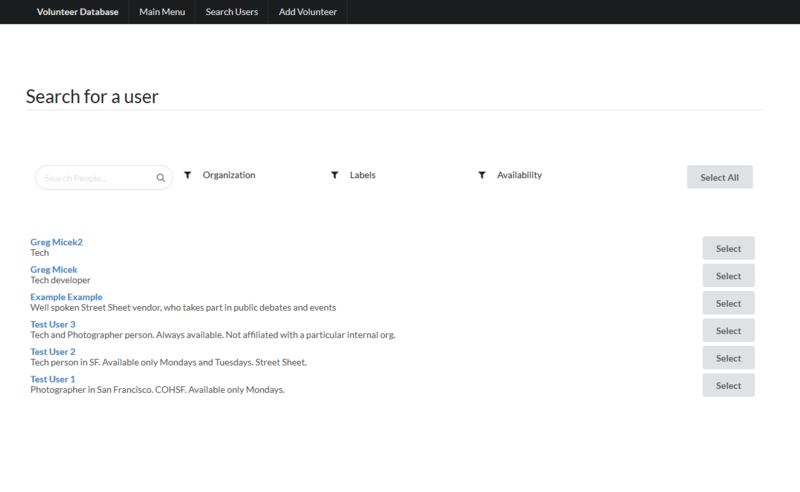 Octaria worked with the friendly team at the Coalition on Homelessness San Francisco to build a custom Volunteer Management System to suit their needs. We went with a straightforward and minimalist approach. The Main Menu has 2 buttons for standard users, and an additional 2 buttons that only show up for Admin users. 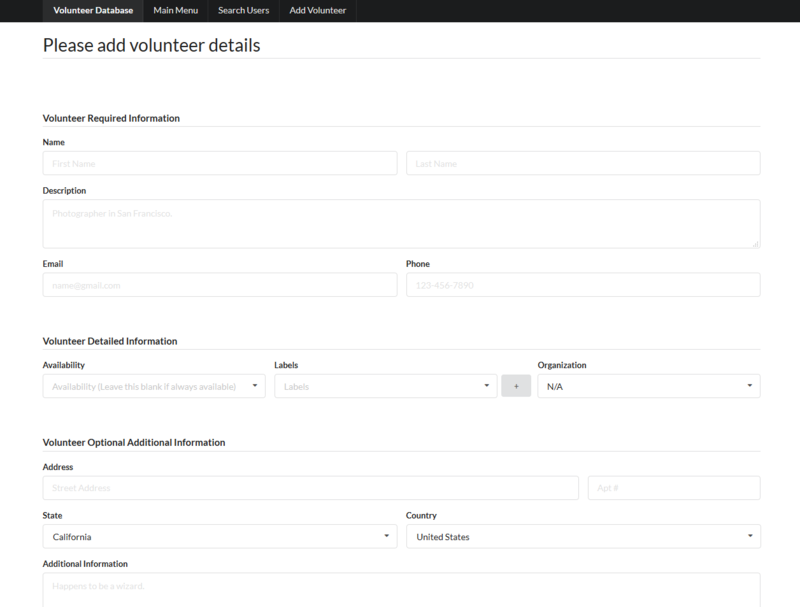 The add volunteer page uses Semantic UI as well as specific fields required. Once selected, users can be emailed individually. 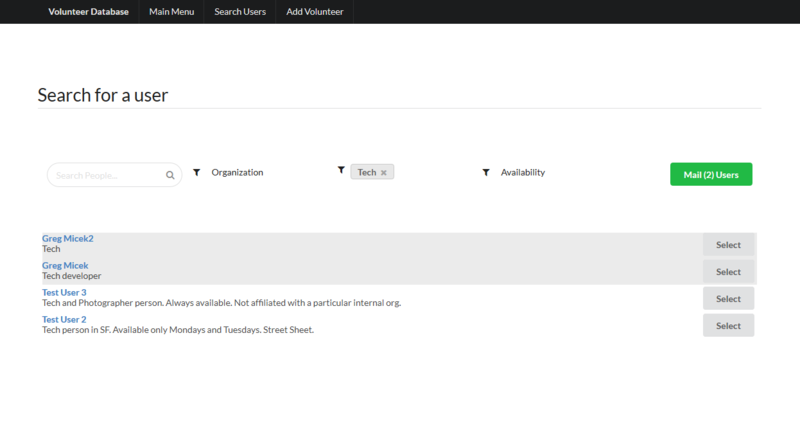 A summary of the selected users is shown, and the reply-to, subject, and email body details can be entered. 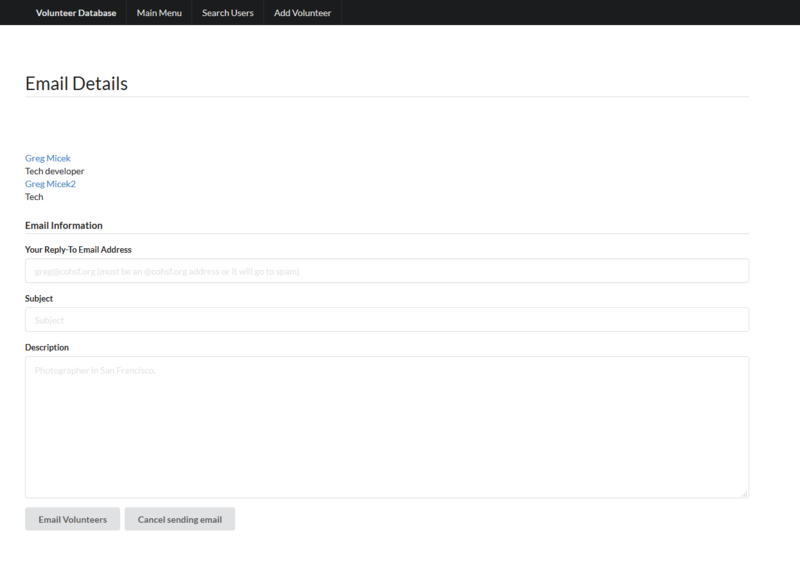 Unsubscribe functionality is tracked automatically by appending a footer to the email body.